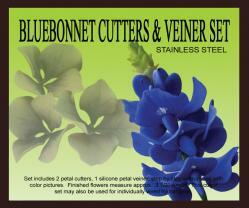 Set of 3 including 2 stainless steel petal cutters and a silicone petal veiner. 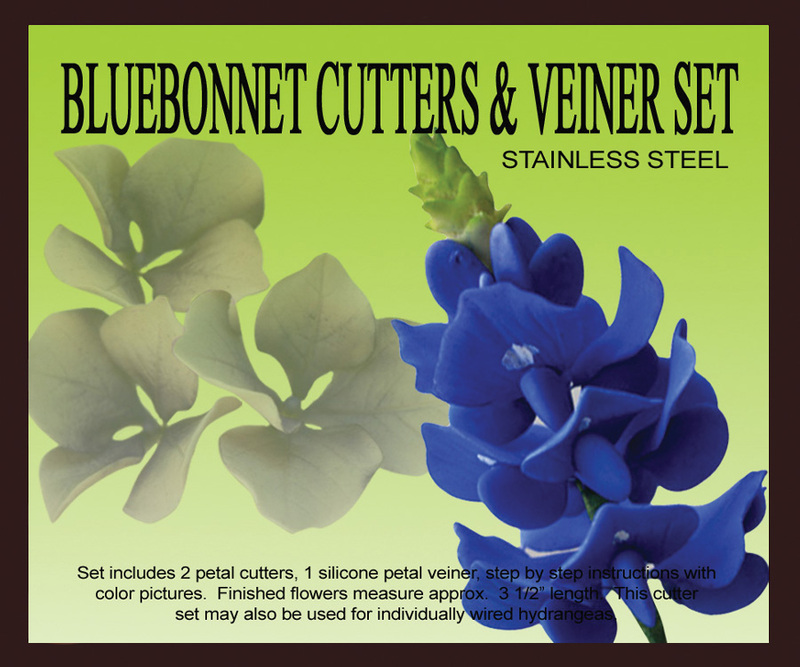 This cutter set may also be sued to make individual petal of hydrangeas. Includes a step-by-step instructions for both flowers with color pictures. Finished bluebonnet assemblu measures approx. 2" height & finished hydrangea measures approx. 1" width.